With today being the 70th anniversary of the invasion of Normandy - Operation Overlord or more commonly known as D-Day, the SigEp Patriots Project (SPP) thought it important to honor some of our brave brothers who served on that historic day. If you ever get the chance to visit Normandy, do it! It is an incredibly moving experience. It’s estimated that over 160,000 Allied troops landed along a 50 mile stretch of beach in Normandy, France 70 years ago today. 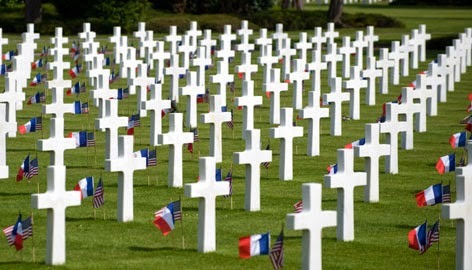 While it is officially known that 4,413 U.S. service members were killed on D-Day, miraculously, all of the brothers mentioned here survived the hostile actions that took place that day. Brothers serving with the 101st Airborne Division were likely the first SigEp Patriots to touch down in Normandy, France on D-Day. The Division jumped over the course of about an hour from 0048 (or 12:48am) to 0140 (1:40am). In an interview published in September 1944, DE Alpha Brother (Class of 1943) Staff Sergeant Robert A. Shurter, Jr., U.S. Army is quoted as saying, “Our Company jumped at 1:17 a.m., five hours before the actual invasion started.” His stick (Number 61) was spread out over about 6.5 kilometers from St. Mere Eglise northeast to where he landed just above Ravenoville. “We all knew our mission. Roads leading to the beach had to be cleared of known machine gun nests, pill boxes, and 88’s and we had to secure the high ground in the area to cover the seaborn infantry.” Brother Shurter was 23 years when he earned his Combat Infantry Badge on D-Day while serving as Operations Sergeant in Dog Company, 2nd Battalion, 506th Parachute Infantry Division, 101st Airborne Division. Brother Shurter would go on to become First Sergeant of Dog Company, parachute in to Holland with the 101st as part of Operation Market Garden, and later was appointed Sergeant Major of the 506th. 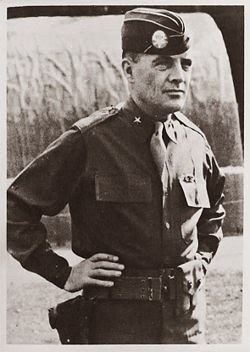 Although he had no formal Army instruction in parachuting, World War I Veteran and WV Beta Brother Brigadier General Anthony McAuliffe, U.S. Army also parachuted into Normandy with the 101st Airborne Division on D-Day as commander of the Artillery Division. Like many of the paratroopers on that day, Brother McAuliffe landed far from his designated drop zone, but he organized the men in the vicinity, and joined with other forces to capture the small French town of Pouppeville against heavy enemy fire. For his actions there, he would later be awarded the Silver Star, but before the day was over he was appointed Assistant Division Commander (ADC) with the death of the previous ADC. Unbeknownst to him, this set the wheels in motion for him to be the acting commander of the 101st Division at Bastogne when the Germans offered terms for surrender, and he would utter the most famous phrase from WWII, "Nuts!" The first Corps-level commander ashore on D-Day was World War I Veteran and VA Theta Brother (Class of 1911) Major General Leonard Gerow, U.S. Army. As Commander of V Corps (consisting of the 29th and 1st Infantry divisions), he was in charge of the largest unit of troops in the European Theater of Operations at that time. While we don’t know exactly when Brother Gerow made landfall at Normandy, the vanguard of the U.S. attack of Omaha Beach was the 29th Infantry Division, and the first wave of men from the division’s 116th Infantry Regiment came ashore at 0635 (6:35am). There is a great deal of information and praise for Brother Gerow on display at the museum co-located at the Normandy American Cemetery in Colleville-sur-Mer, France. One of the Soldiers serving under the command of Brother Gerow was WI Alpha Brother Private Richard D. Goree, U.S. Army. Richard was serving in the Headquarters Company, 16th Infantry Regiment, 1st Infantry Division. For gallantry in action on D-Day, Brother Goree was also awarded the Silver Star (General Order # 41 of 1944). Of his acts that that day, Richard wrote, "It was nothing spectacular. I just helped a few wounded guys reach cover." 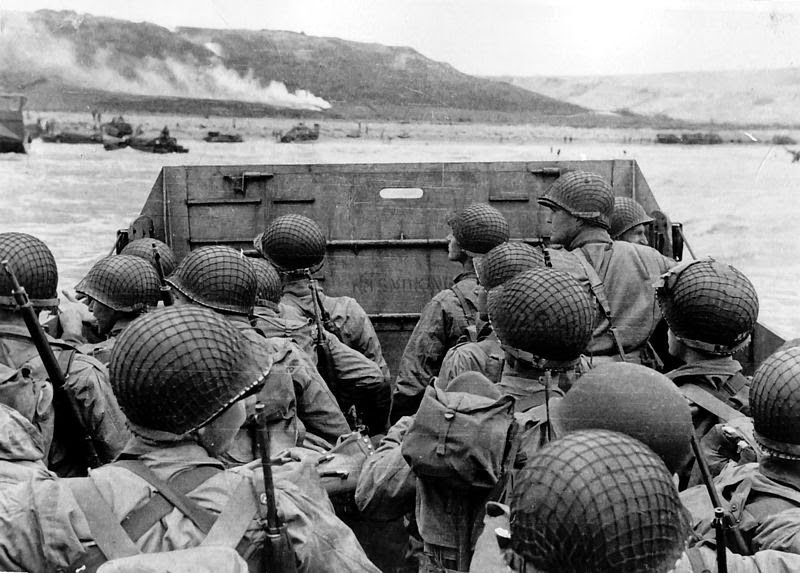 DE Alpha Brother Robert Snowberger was serving in the Army on D-Day, and like so many took one of 2,288 U.S. Navy landing craft used that day to go ashore at Omaha Beach. Piloting his landing craft could have been MO Alpha Past President Petty Officer Charles Kenworthey, U.S. Navy serving aboard such a craft during the invasion. IN Alpha Brother (Class of 1941) Lieutenant John Van Camp, U.S. Navy was aboard one of 46 U.S. warships or several hundred ancillary ships that were part of the Western Naval Task Force off of Omaha. OR Beta Brother Staff Sergeant G. Duncan Wimpress, U.S. Army participate at Normandy, and, like McAuliffe, served later at the Battle of the Bulge. At Utah Beach, the first field artillery battalion ashore was the 29th (assigned to the 4th Infantry Division), which included FL Alpha Brother (Class of 1941) Major Miles A. Warren, U.S. Army. Before his discharge at the end of WWII, Brother Warren would be awarded the Silver and Bronze stars. Also on Utah on D-Day with the 4th Infantry Division was IA Gamma Brother (Class of 1922) Lieutenant Colonel Fred A. Steiner, U.S. Army serving as executive officer of the 8th Regiment. Killed in action in Normandy on 19 JUN, Fred was posthumously awarded the Distinguished Service Cross - second only to the Medal of Honor, for "gallantry and his intrepid actions, personal bravery and zealous devotion to duty" during his service on D-Day. Prior to entering the service, Brother Steiner had practiced law in San Diego. It's sad and unfortunate that none of these brave gentlemen are alive today. But if they were and you met them at Conclave or somewhere else, wouldn't you want to know the above information so you could show your respect, thank them for their service, and ask them to share an account of this famous day in world history? SPP believes it is important to learn about SigEp Patriots while they are alive, as well as after they have passed. Based on the sheer number of American servicemembers involved, SPP strongly believes that there are additional SigEp Patriots who should be mentioned here, and the small group of volunteers continue to search diligently for those Brothers so they too can be honored and remembered. If you have any such information we would love to hear from you.